Change your body, and your life, with guided nutrition coaching geared specifically to your personal goals, lifestyle and preferences. Ditch the dieting and the guilt. Get personal support from an educated and experienced nutrition and weight loss coach using sustainable, easy-to-begin habit-based coaching, guidance and accountability. Through this process you'll learn how to create your best, most vibrant relationship with food ever, helping you gain confidence, lose body fat and create results that LAST! Not local to Lancaster, PA? Have a full schedule that doesn't allow for one more appointment? Not to worry! Geography doesn't stop us from working together and helping you reach your goals! 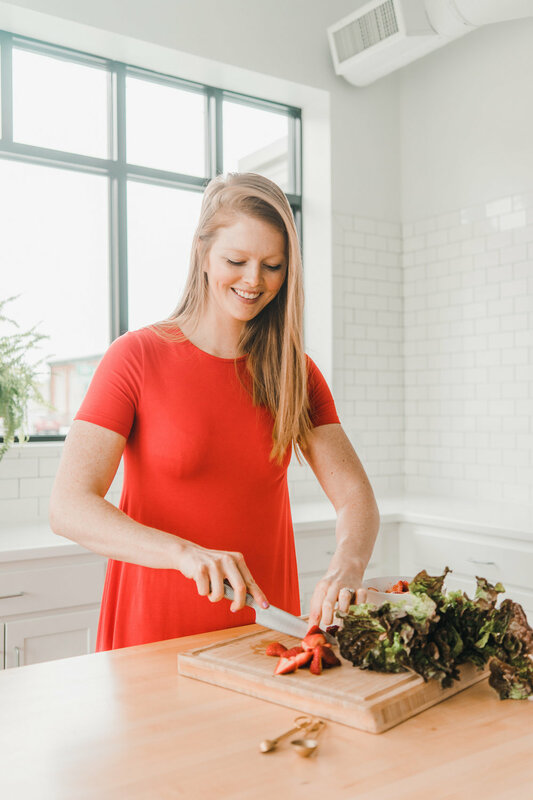 Nutrition Coaching with Nicole is completely remote as we connect and communicate via video calls with ample email accountability to ensure you reach your BIG, powerful goals. With remote accountability every step of the way you’ll learn how to stay consistent no matter what life throws at you. Nutrition Coaching with Nicole is not a 30 day cookie-cutter diet program. It’s quite the opposite, in fact. Together we will design a one-of-a-kind roadmap to your goals, created and customized for your unique and individual body. You’ve tried the one-size-fits-all diet culture drama. And I’m willing to wager that didn’t work out well for you. Isn’t it time to try something different? Something designed FOR YOU? The woman looking to lose body fat sustainably while still eating the foods she loves! The woman willing to change her mindset to change her body and her life! The woman looking for results that last a lifetime! The woman willing to learn how to listen to her body and, with the help of a world class coach, create a one of a kind roadmap to the results she’s looking for! The woman committed to herself, her health and her confidence!